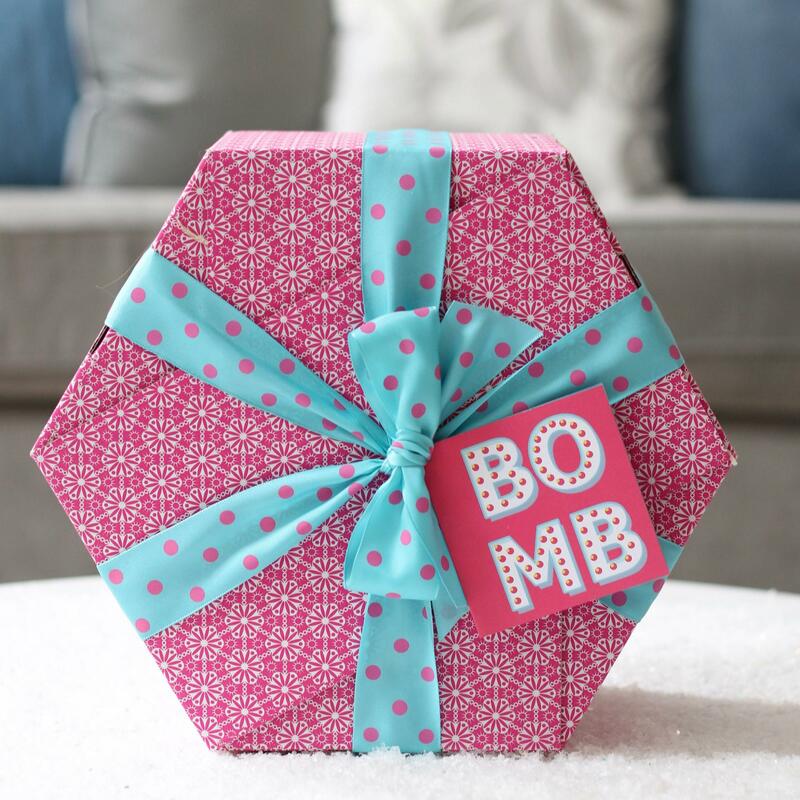 I love Christmas gift sets which include a range of different products The Bomb Gift Pack (£24.99) from Bomb Cosmetics is an explosion of luxury and relaxing scents, available from Find Me a Gift. If you’ve never heard of Find Me a Gift before they have gifts for literally everyone no matter what the occasion, they are there to ensure that every need is catered for. Whether you’re looking for a special Christmas gift for a friend or a secret santa gift they have you covered. All the products within this set are handmade and is full of bath bombs, soap, body butters and a sweet-smelling Jelly Belly candle. Everything you need to have a relaxing evening in the bath! Baylis & Harding release a range of different Christmas gift sets every year and this year is no exception. 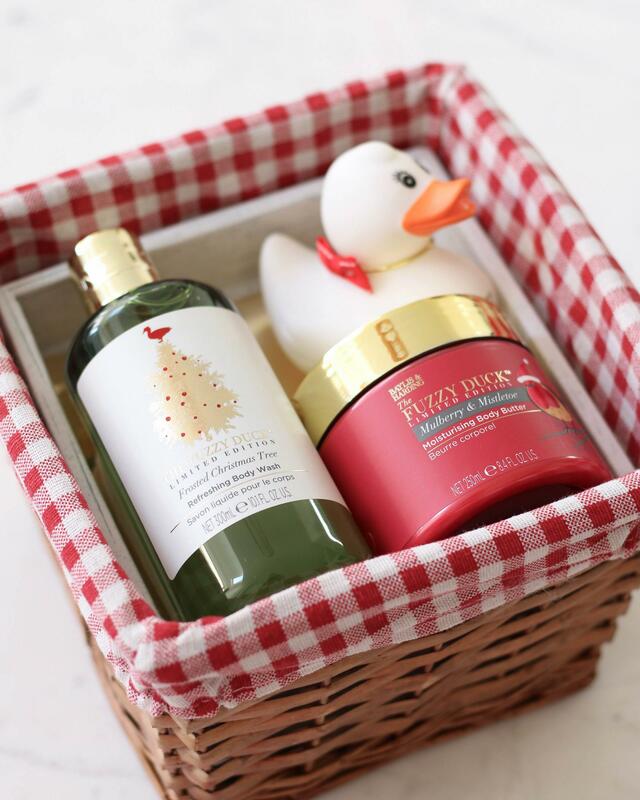 Their sets are always beautifully packaged and they’re one of my main go-to brands when I’m looking for lovely sets, however this Fuzzy Duck Christmas Beauty Basket is my favourite set this year. Containing a Frosted Christmas Tree Body Wash, Mulberry & Mistletoe Body Butter and festive duck, it’s a lovely set for those who love baths and hampers. Another lovely set released by Baylis & Harding this year is their Sweet Mandarin set which is an incredible scent and even includes a votive candle. 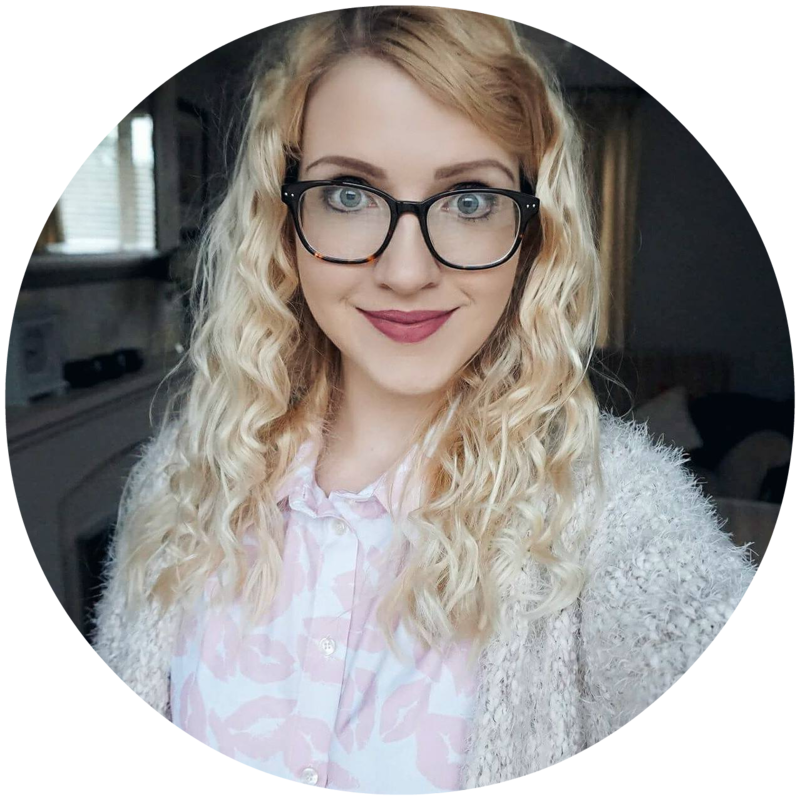 If you read my other Christmas gift guides this year you’ll be sure to see even more products that they have released this Christmas. 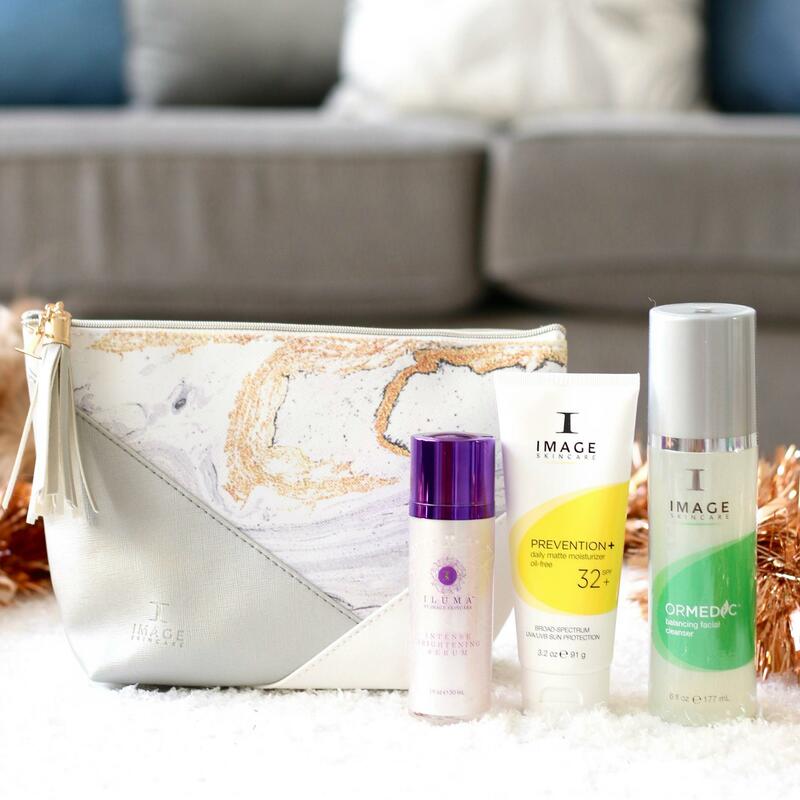 Image Skincare create products which are powered by smart botanicals and high percentages of safe, proven active ingredients. If you know someone who loves skincare products then their sets are perfect as they have multiple different collections, depending on skincare concerns. The Balance & Brighten Essentials kit is for the ultimate glow getters including a balancing facial cleanser, daily matte moisturiser and intense brightening serum. 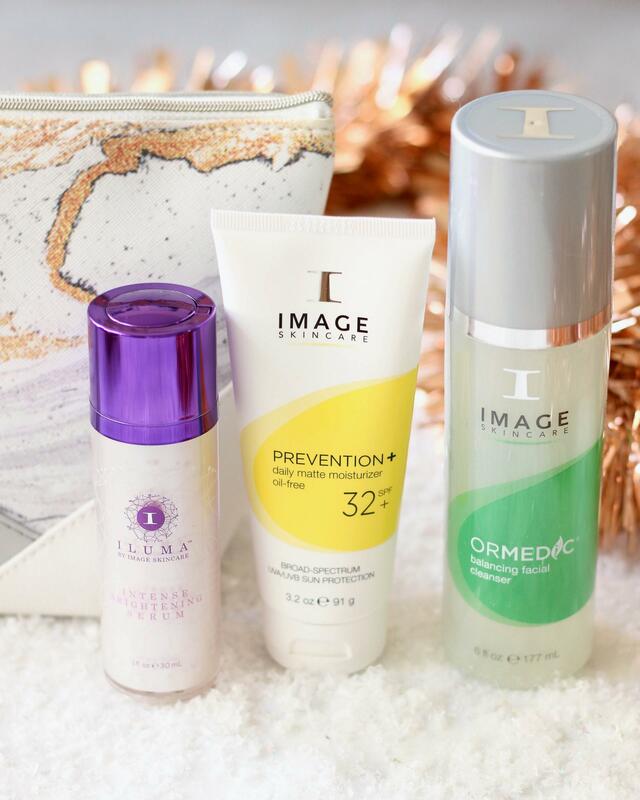 Image Skincare’s products are results-driven and no matter what the skin concern, there’s something to suit everyone. 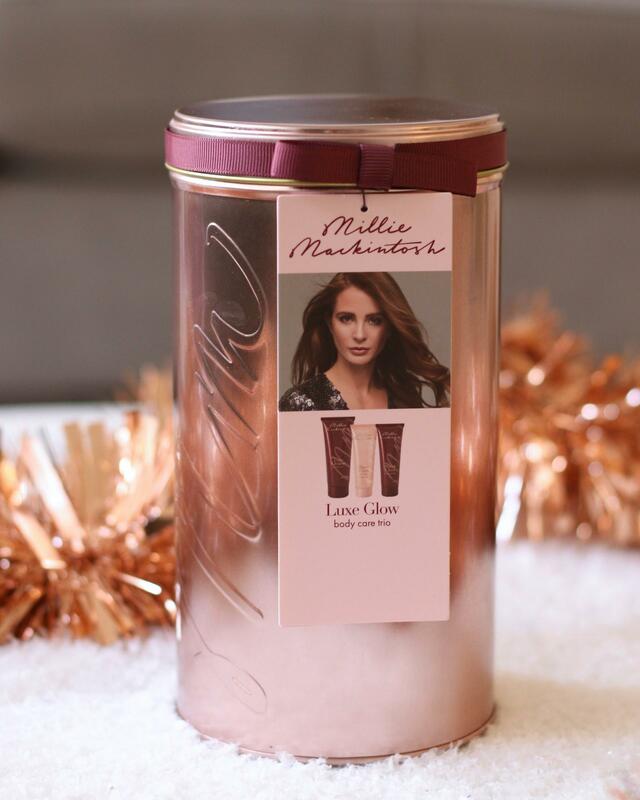 Millie Mackintosh has released some beautiful gift sets for Christmas and this years collection celebrated Millie’s love affair with everything beauty. 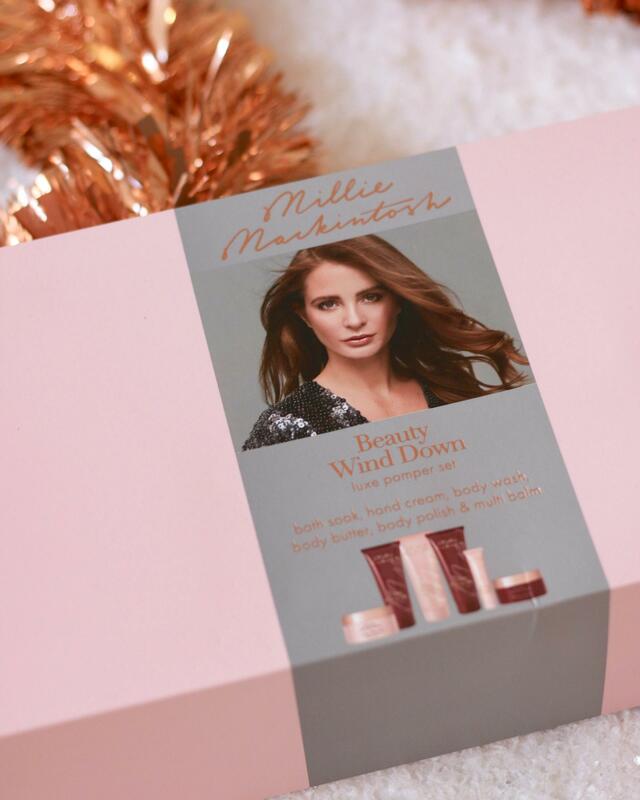 The Beauty Wind Down Luxe Pamper Set (£20) has everything you need for relaxation, radiance and revitalisation. Delicately scented with Millie’s signature jasmine and bergamot scent, indulge in this collection with a nourishing multi-balm, pearlescent body wash, intensive hand cream, exfoliating body polish, rich body butter and luxurious bath soak. 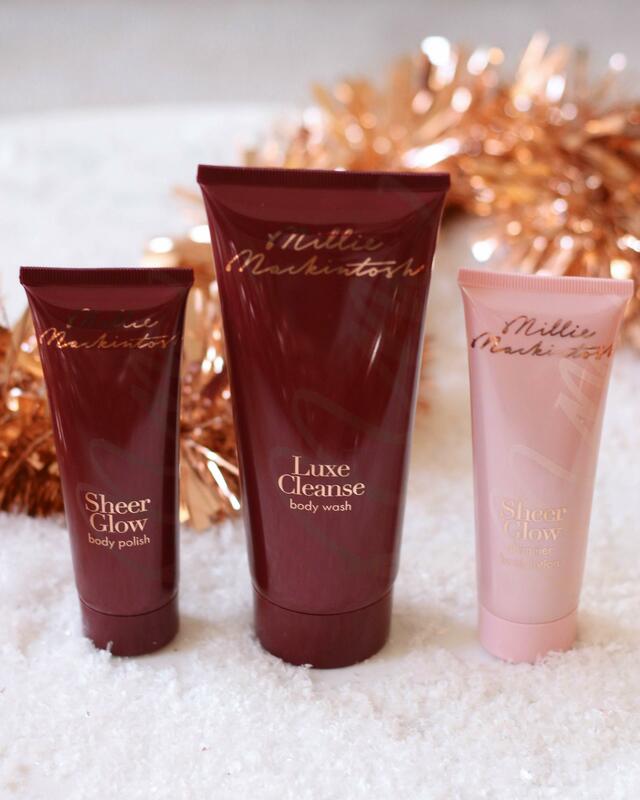 Another lovely set from Millie Mackintosh is the Luxe Glow Body Care Trio (£14) which includes a rich shimmer body lotion, exfoliating body polish and pearlescent body wash to leave your skin feeling soft and moisturised. Presented in a beautiful rose gold tin, this is a capsule edit of luxuries with an elegant twist. 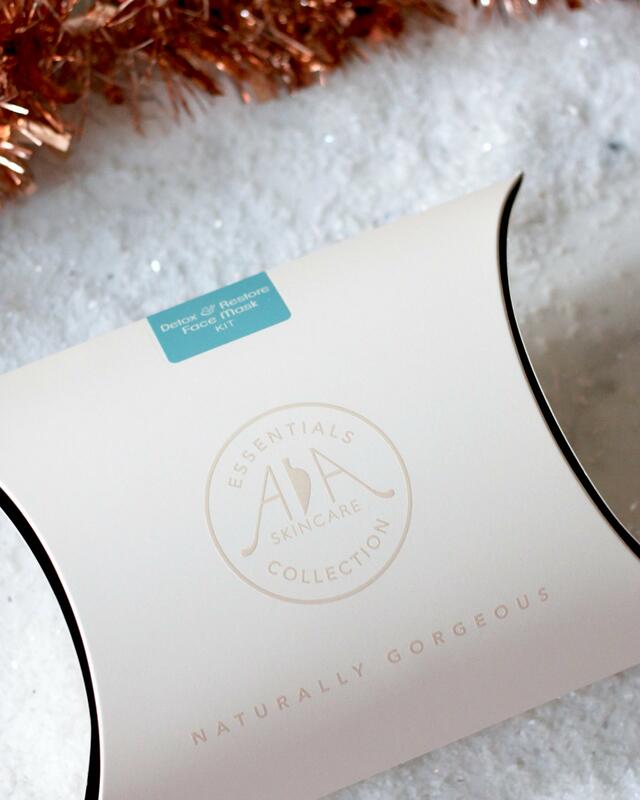 AA Skincare is a natural skincare range from Amphora Aromatics, combining essential oils with classic natural ingredients to give your skin a treat. The Detox & Restore Face Mask Collection (£23.50) would make a lovely gift for those who love a pamper, or you could always buy the set and then give them to three different people! 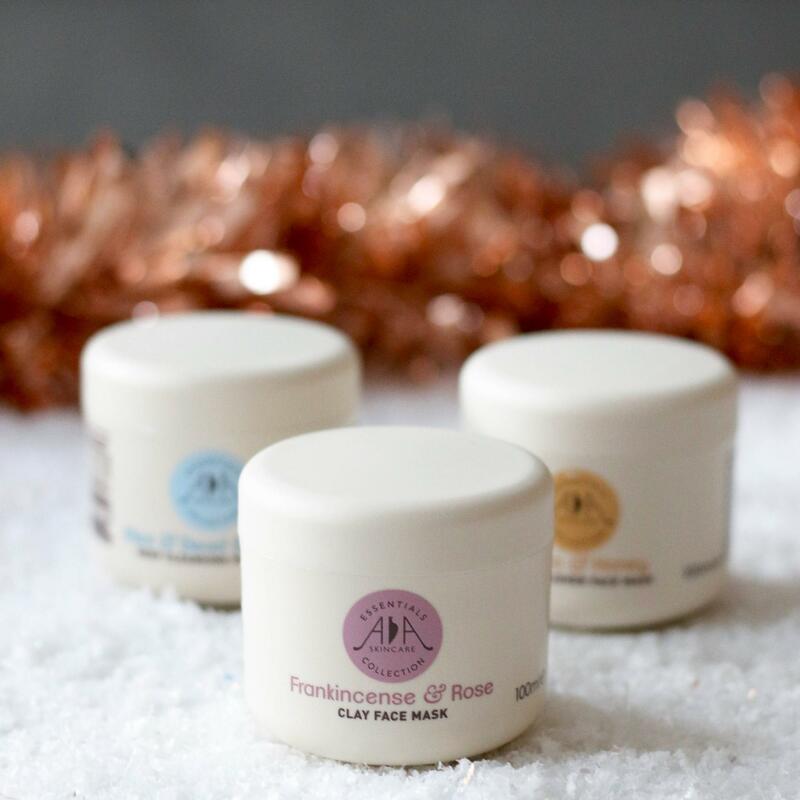 This beauty boosting clay mask collection is designed to tone, revitalise and balance the skin leaving it soft and smooth with Mint & Dead Sea Salt, Frankincense & Rose and Vanilla & Honey clay masks. 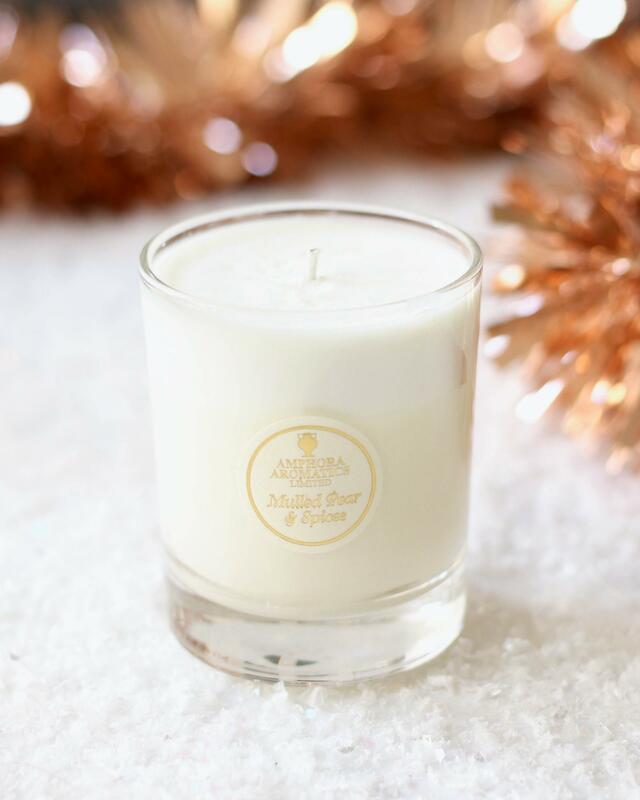 Another lovely gift idea from Amphora Aromatics is their Mulled Pear & Spices Candle (£9.50). This festive scent filled your home with the sweet smells of mulled pear and warm winter spices and is vegan friendly as it’s made with 100% natural plant wax. 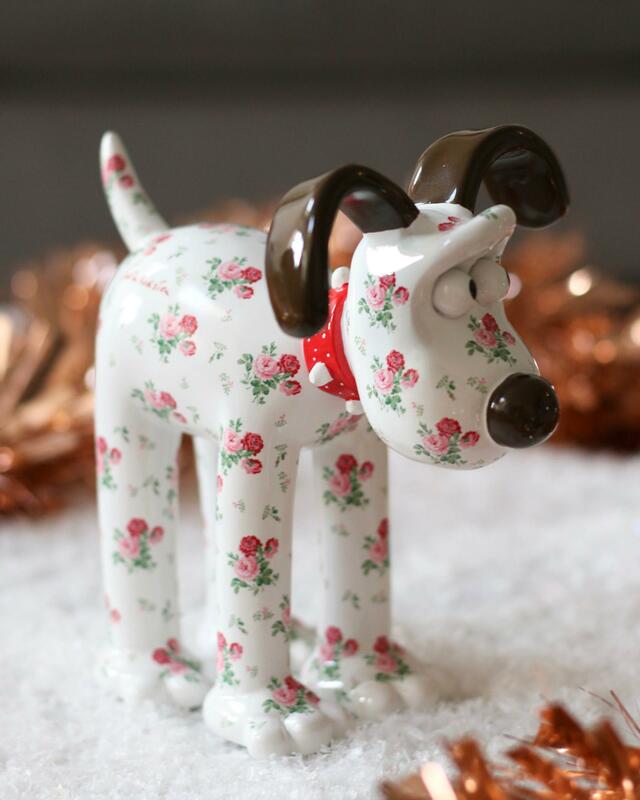 This beautiful Cath Kidston Antique Rose Figurine from Gromit Unleashed (£50) is stunning and there’s a lovely story behind the figurine. Gromit Unleashed began as sculpture trails in London and Bristol featuring the Aardman character Gromit which had hundreds of people from all over the UK visiting. Then the sculptures were auctioned in aid of Wallace & Gromit Children’s Charity and The Grand Appeal, the Bristol Children’s Hospital Charity which managed to raise over £3 million! 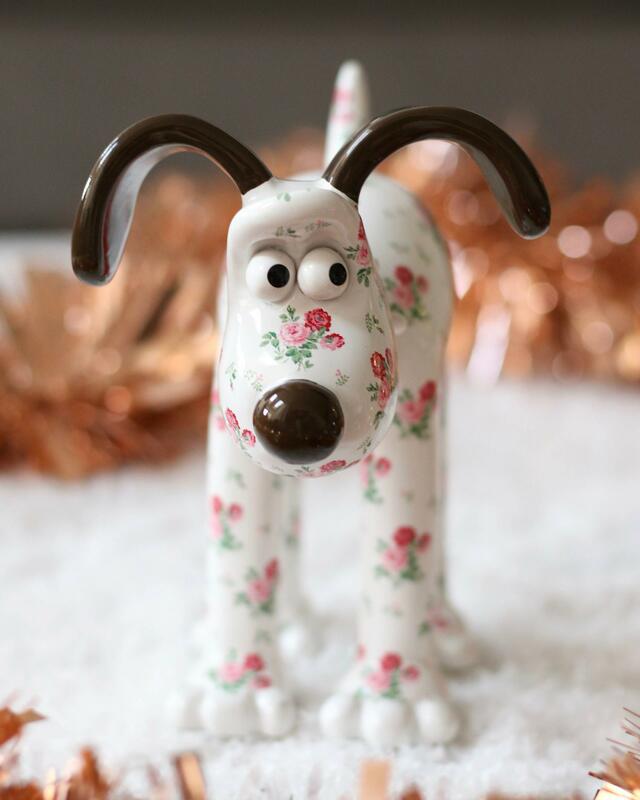 They have a range of different figurines however this lovely Gromit figurine covered in Cath Kidston’s classic Antique Rose print and is perfect to add a touch of classic vintage to the home. I hope that this ‘Christmas Gift Guide for Her’ has given you some ideas for Christmas this year, however if you’re still looking for more inspiration I have a few more gift guides on my blog which include stocking fillers, gifts for men and luxury gifts.